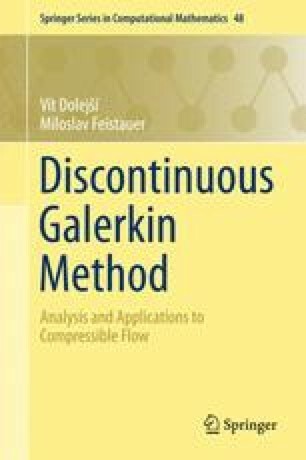 In previous chapters we introduced and analyzed the discontinuous Galerkin method (DGM) for the numerical solution of several scalar equations. However, many practical problems are described by systems of partial differential equations. In the second part of this book, we present the application of the DGM to solving compressible flow problems. The numerical schemes, analyzed for a scalar equation, are extended to a system of equations and numerically verified. We also deal with an efficient solution of resulting systems of algebraic equations.